Anke Riesenkamp lives, works and gardens in Castle Baexem. She organizes cultural events there – Salon de Heerlijkheid – and ‘artists in residence’ sometimes stay at the garden pavilion, a barn-owl in the roof-ridges of the castle. She runs the castle’s hostel and its botanical and vegetable gardens. 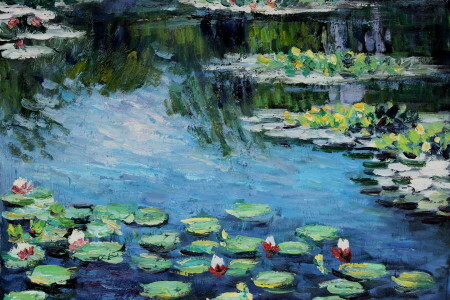 For See All This she made a selection of the most beautiful gardens and plantations of the Netherlands. A friend of mine, who lived in the rugged country of Canada, told me that uncultivated nature bores him. He can only be interested when human intervention is visible. 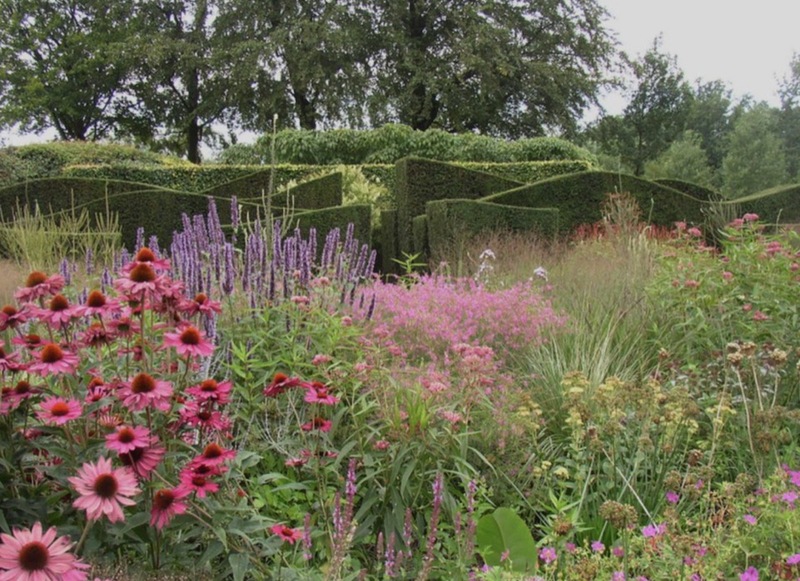 18th-century English botanists spoke of ‘The Dutch Garden’. 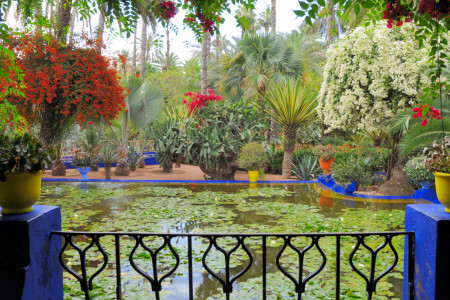 The relatively small Dutch ornamental gardens distinguished themselves by an abundance of symmetry and overall structure. Within the walls or hedges, nature was suppressed and enclosed. Geometrically shaped walkways ran between linearly planted flowerbeds full of colour and herbal lawns. Pond, bench, porch. The horticulturists in the low lands were pioneers in the cultivation of herbs, flowers and edible growths. The buxus never left. On my way to the village I now see young linden-trees chained to iron molds. Pom poms on sticks grow from coniferous trees. I have an opinion on that. The world in plants and trees; something to be seen there. A breadfruit of over 300 years old lives in this amazing greenhouse and a palm is planning to escape. Garden architect Mien Ruys (1904-1999) is the mother and source of inspiration of many present day garden- and landscape architects. 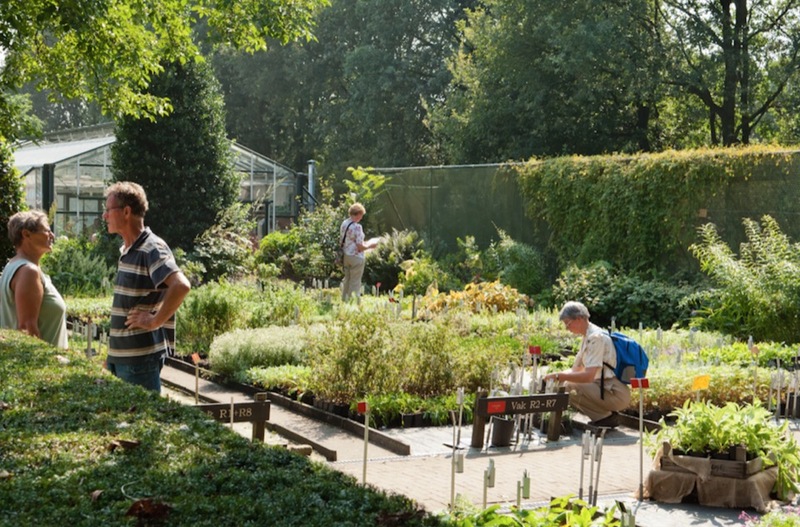 Mien Ruys’s gardens in Dedemsvaart are experimental gardens where – up to this day- experiments take place with designs and garden materials that are representative of the developments and trends of the last 60 years. 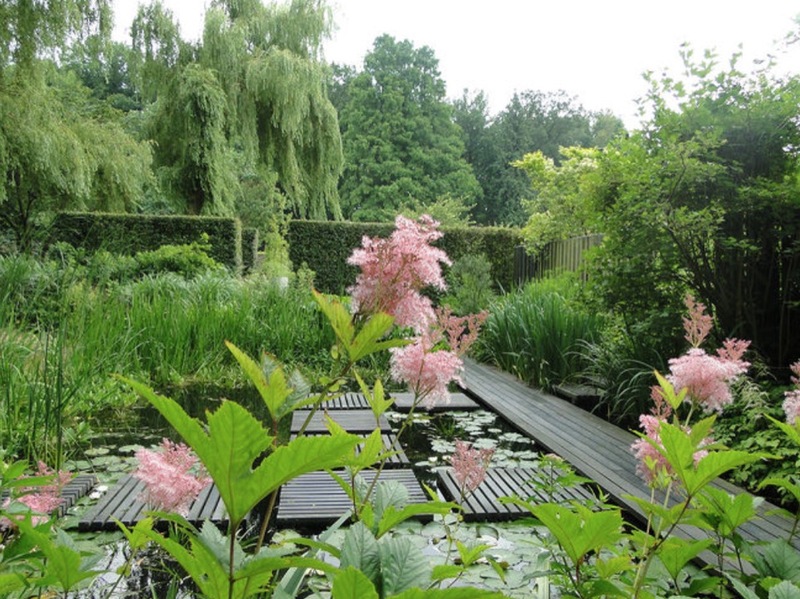 Piet Oudolf designs fragile wilderness. He is the most famous gardener of ‘The Dutch Wave,’ a contemporary movement within garden architecture that enhances the world here and there. He made an incredible wavy strip of two and a halve kilometer through New York on the old metro: ‘The High Line’. 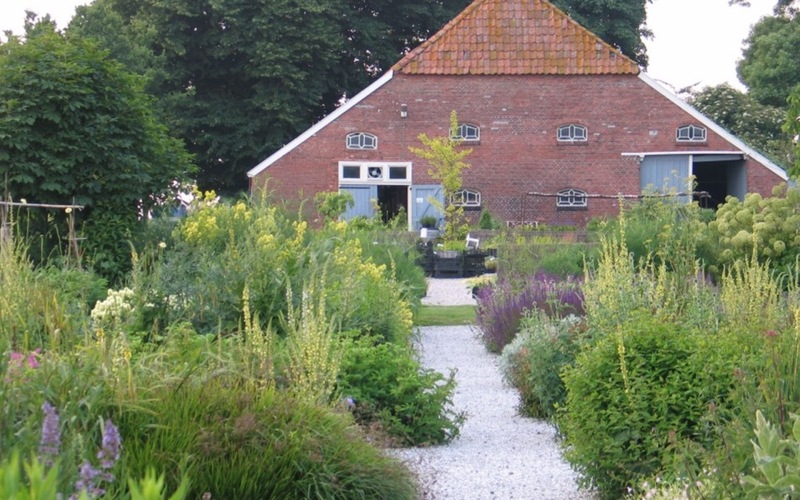 The private garden of Anja and Piet Oudolf can be visited at restricted times. The garden behind Castle Baexem is a wayward exploration. Untamed. You can stay overnight, or swim with salamanders. The restaurant picks and harvests fresh from the garden. The plantations below are as organic as possible. Not a single plant to be seen at the Hessenhof plantation in Ede that has grown out of its strength. Pure, organic cultivation only here, that makes the plants grow stronger. A large variety, nicely described in the catalogue. Beautiful gardens with rootstocks on clay in Groningen. For years, Andries and Bob have been collecting botanical curiosities and other plants with surprising appearances, colour and/or fragrance. The strange plant days take place on the 11th and 12th of June. Essences are rolling downhill at this beautiful plantation in Limburg. 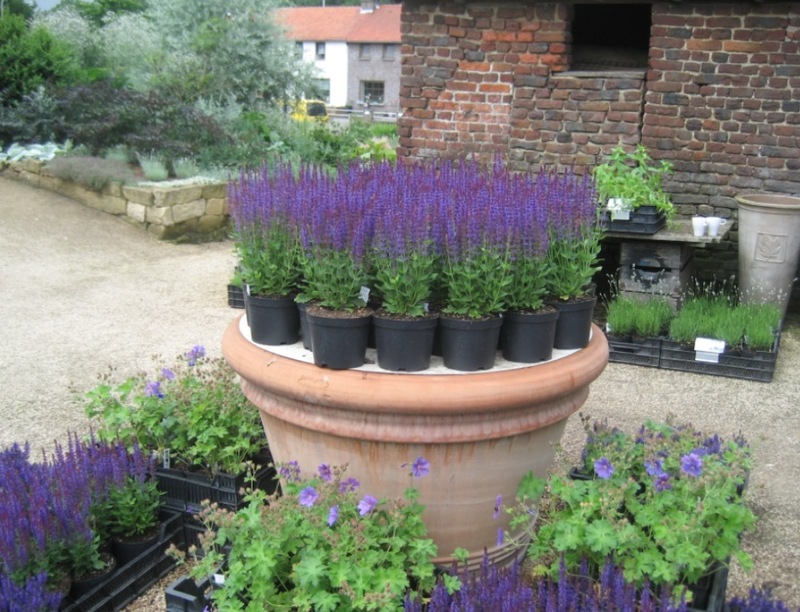 Good collection of perennials and herbs. Zonnemaire close to Zierikzee is a market garden. Dieneke Klompen provides restaurants with a selection of extraordinary vegetables and edible flowers. Sergio Herman is a fan. The Netherlands are finally eating flowers again! 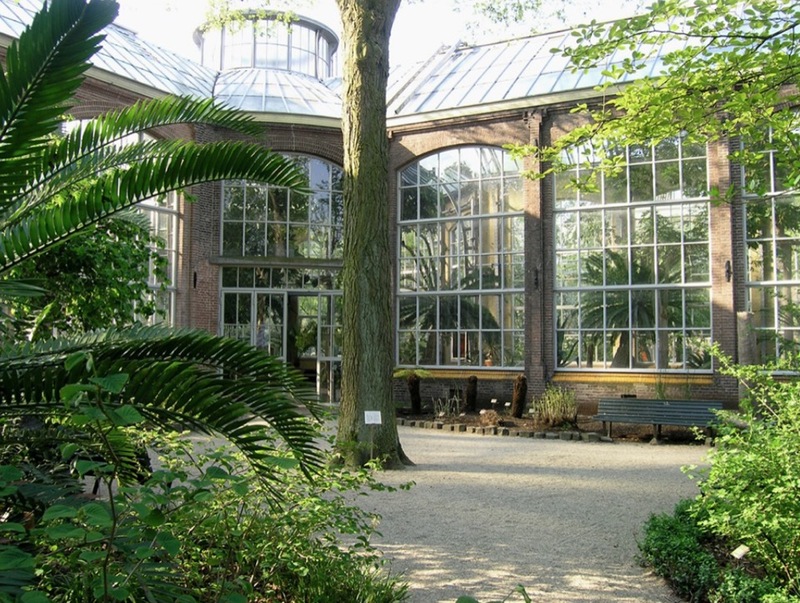 Visit ‘bezoekmijntuin’ for an overview of open gardens in your area.